DoomRL is a free roguelike that uses the Doom setting to offer random, digestible adventures full of super shotguns and cacodemons. Now, a takedown request from ZeniMax threatens to put an end to the project. In a tweet last night, DoomRL creator Kornel Kisielewicz shared an email from ZeniMax requesting the removal of all trademarks. They threatened further legal action if Kisielewicz did not comply. Such action is common and many major corporations take action to secure their exclusive rights to their intellectual properties. Nintendo is particularly aggressive in this regard. They have taken down numerous fan games this year including Pokemon Uranium and AM2R, a Metroid 2 remake. The original Doom was shareware free to be distributed amongst gamers and fans. The series also has a community of dedicated modders and map creators. A popular mod, Brutal Doom 64, was nominated for “Best Fan Creation” at this year’s game awards. While creations using Nintendo properties were removed from consideration, it is worth noting that Brutal Doom 64 was not. Kisielewicz recently launched a Kickstarter for a project called Jupiter Hell. 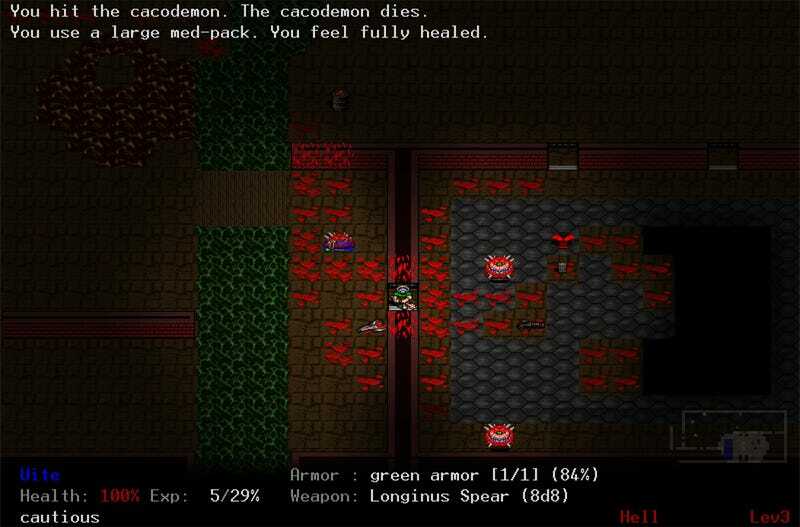 It markets itself as the spiritual successor to DoomRL. No apparent action has been taken against this project. As of the time of writing, DoomRL site is up and the game remains available for download on PC, Mac, and Linux.